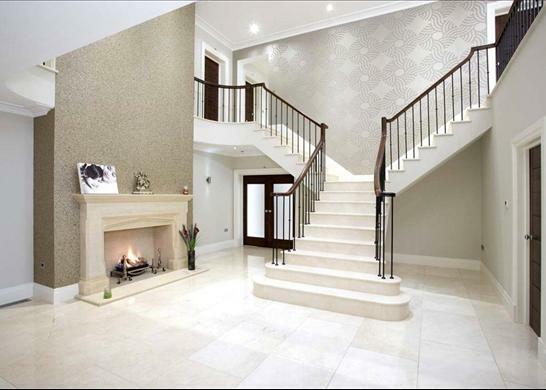 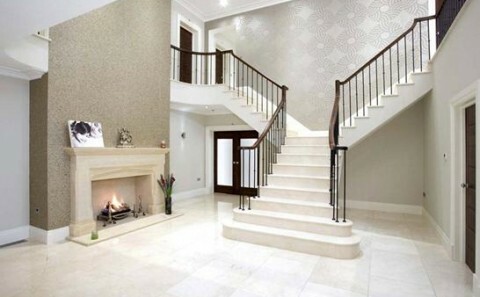 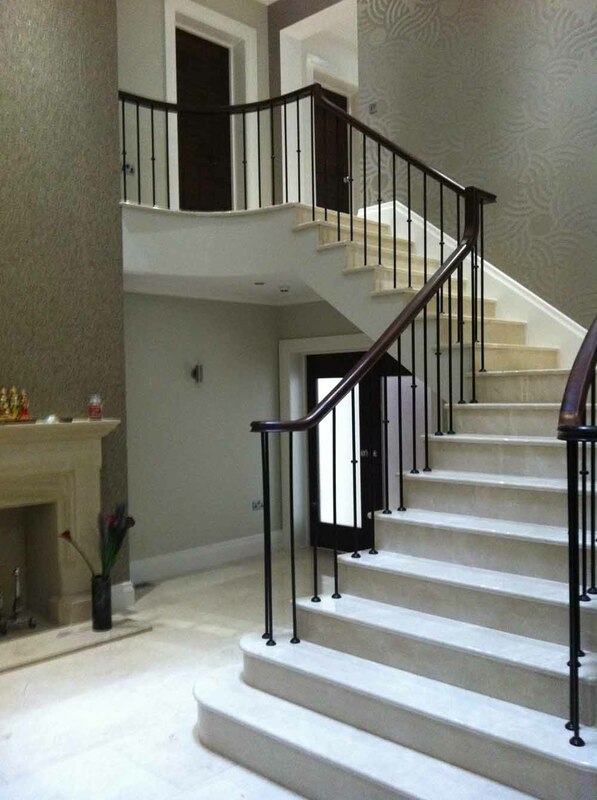 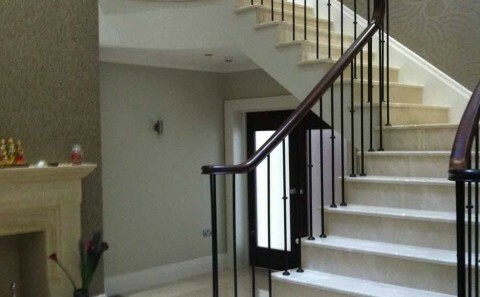 Marble Staircase Sutton-Coldfield - Contemporary Stone Ltd.
A grand split staircase in Sutton Coldfield. 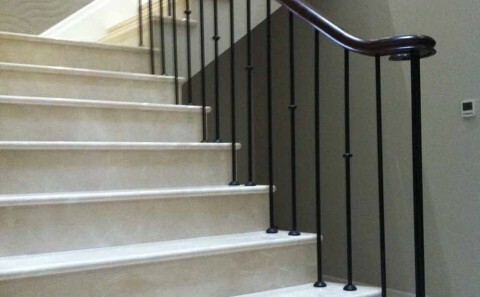 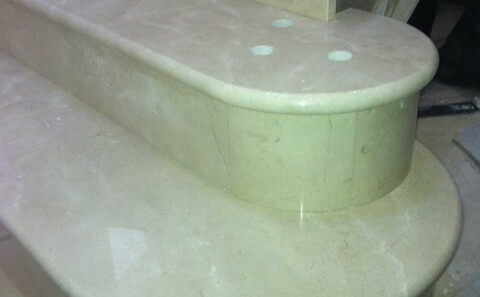 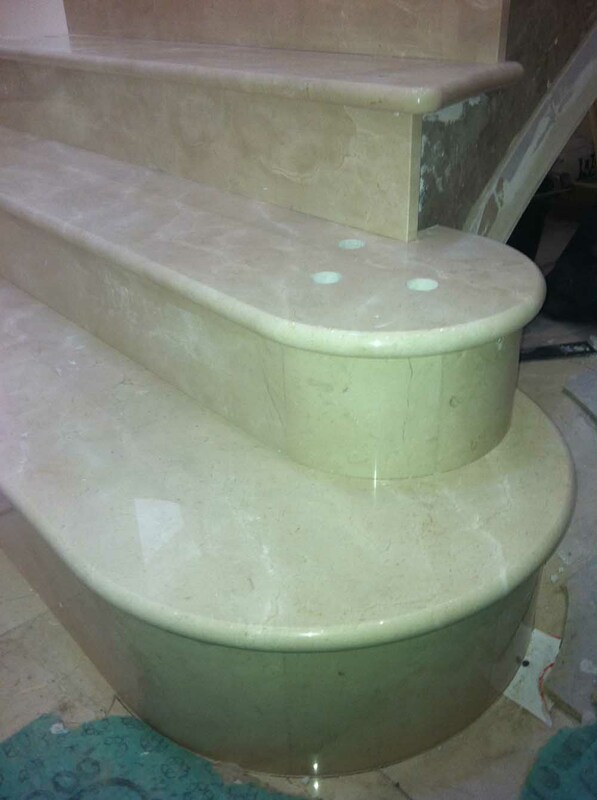 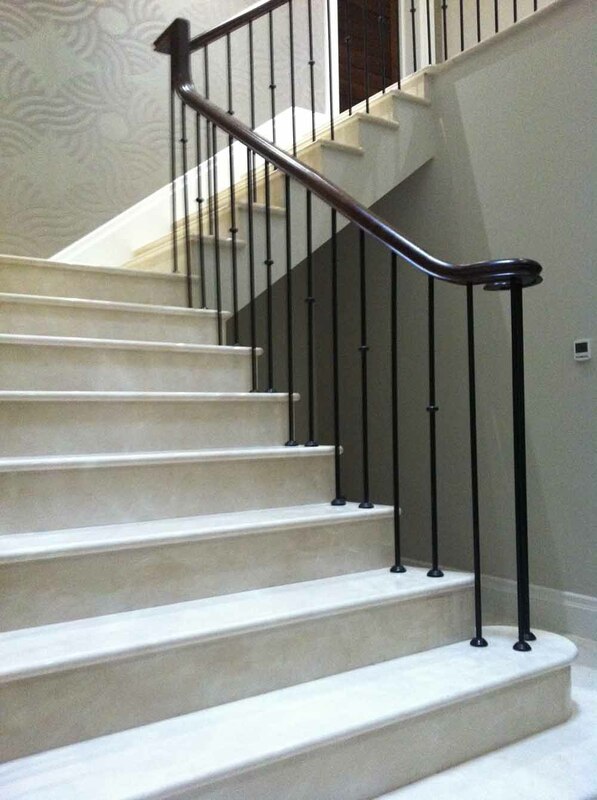 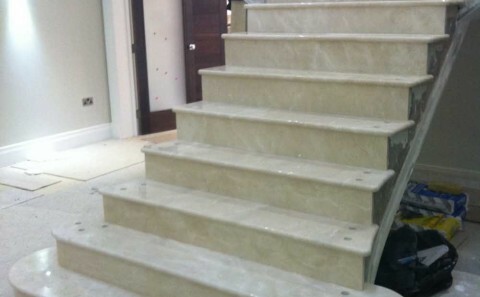 Polished Crema-marfil marble treads and copings. 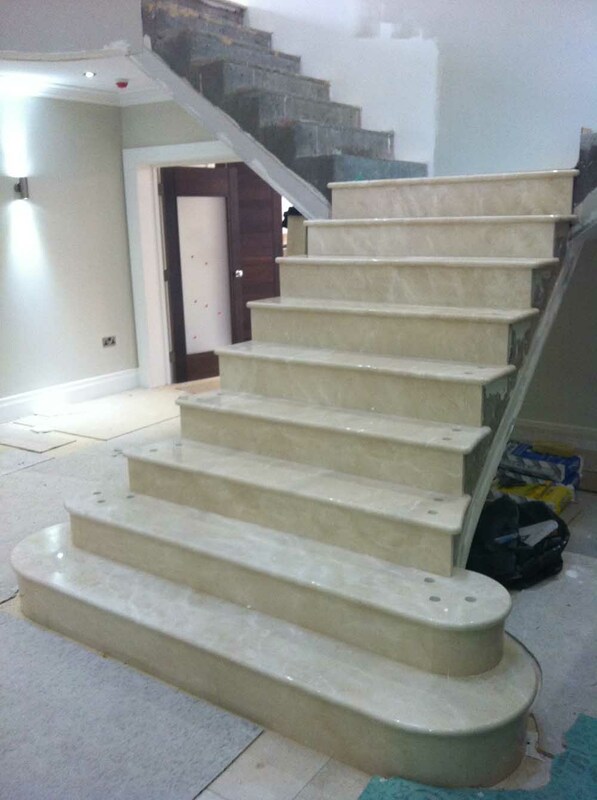 Bullnosed profiles and curved risers on first treads.